Harold E. Wright is a native of Saint John. He has spent much of the past 40 years championing the preservation and understanding of our heritage. 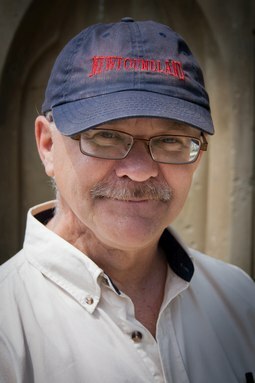 He has written over a dozen books on local heritage and is often consulted by the media and local organizations on Saint John and regional heritage subjects. His work has received recognition at the international, national, provincial and local levels. He recently received the Minister of Veteran’s Affairs Commendation for his work in preserving the heritage of veterans. Mr. Wright is an active member of the Turnbull (NB) Chapter, Canadian Aviation Historical Society, the Memory Project, and the Friends of the NB Military History Museum at Base Gagetown. He is a long-time volunteer with the Dalhousie-NB Medical School. He has focused his retirement years on the story of veterans and cadets, with a concentration on aviation subjects and the story of the SS/HMS Jervis Bay. He has amassed a large collection of Jervis Bay memorabilia including the only known piece of the ship to survive its sinking.